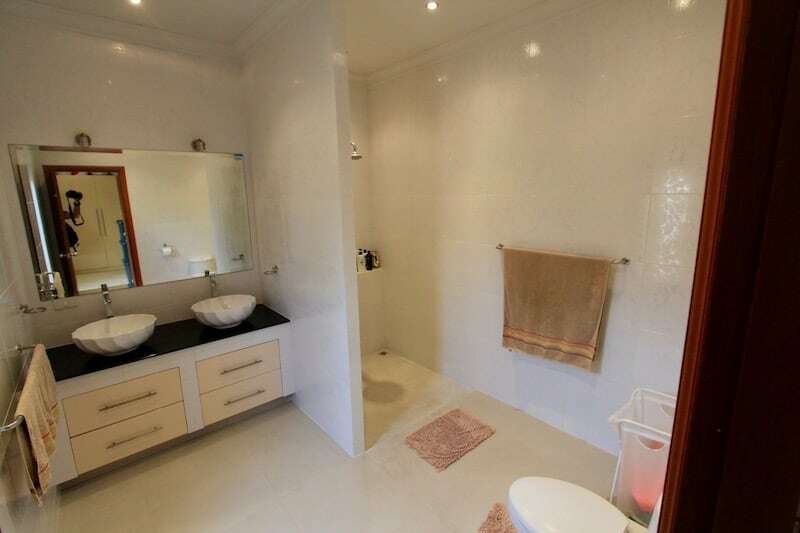 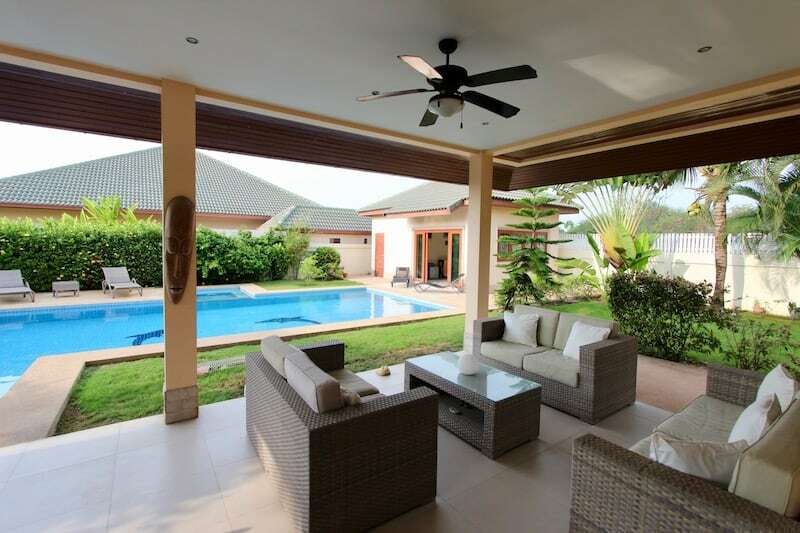 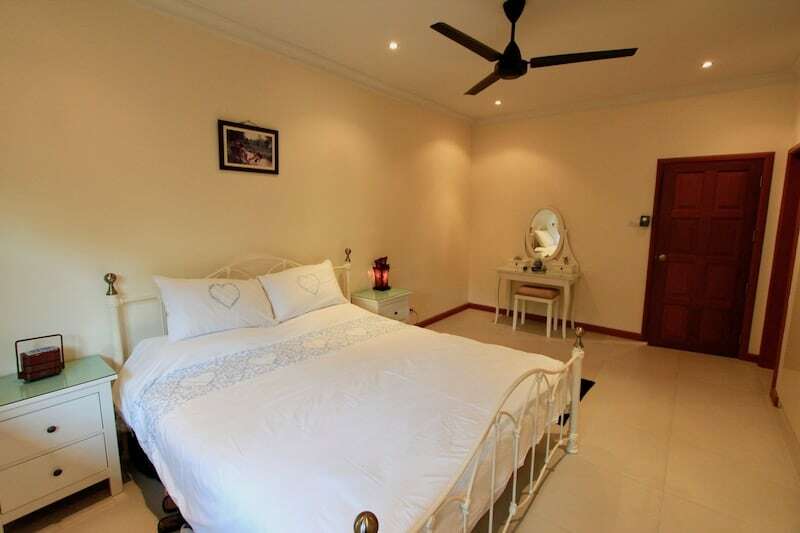 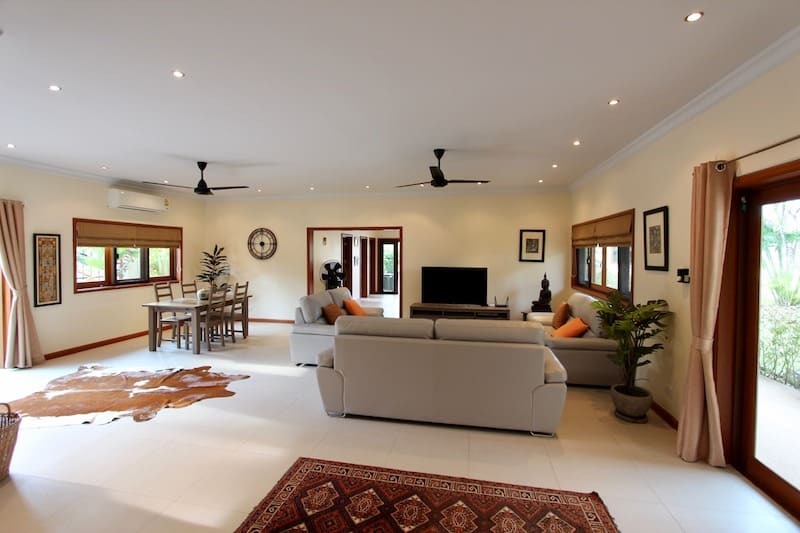 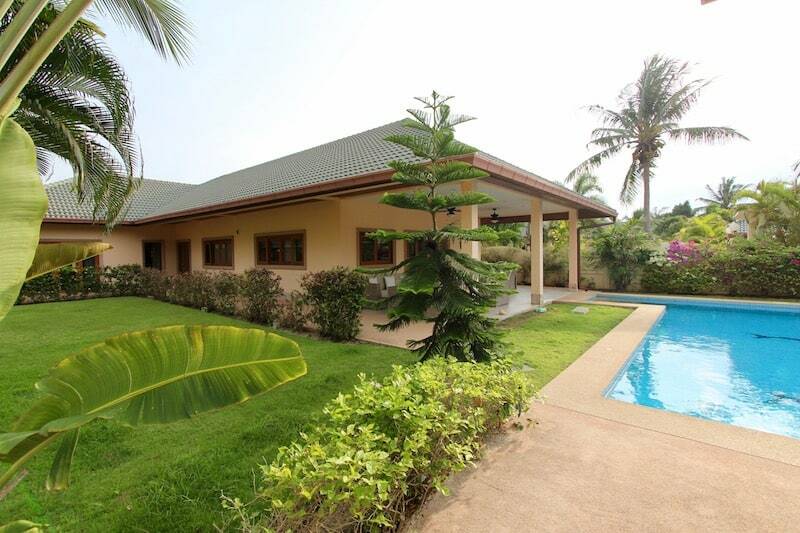 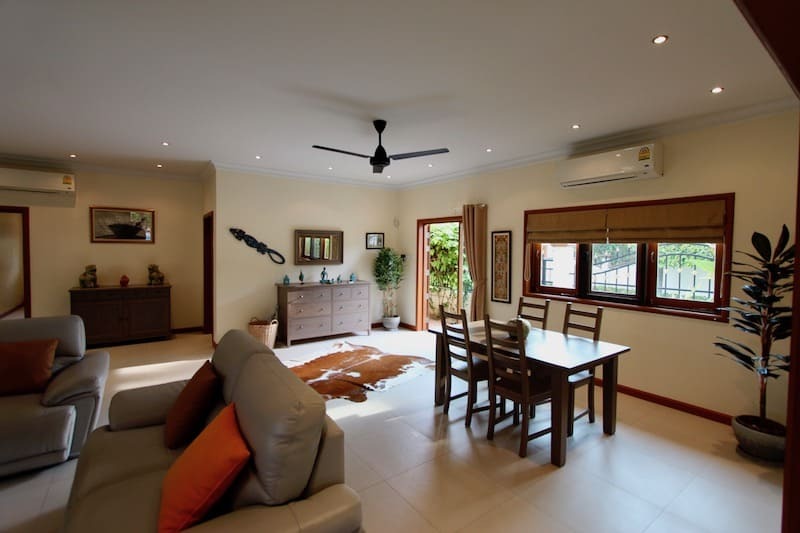 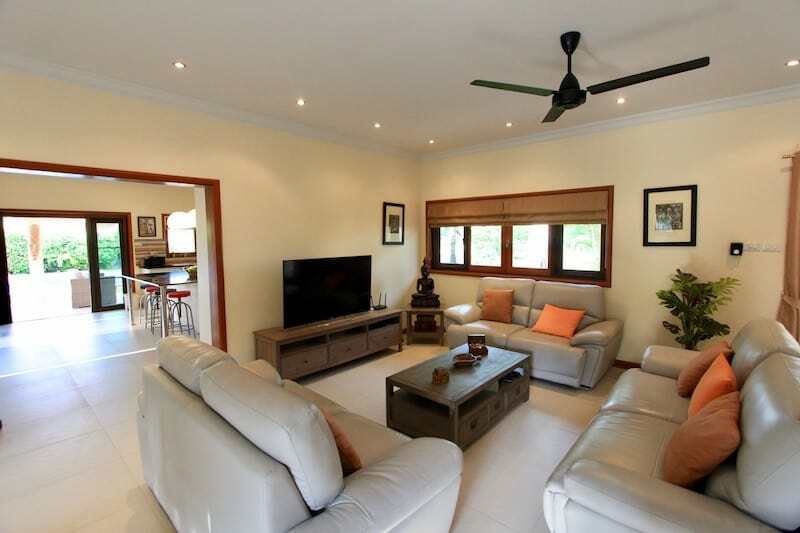 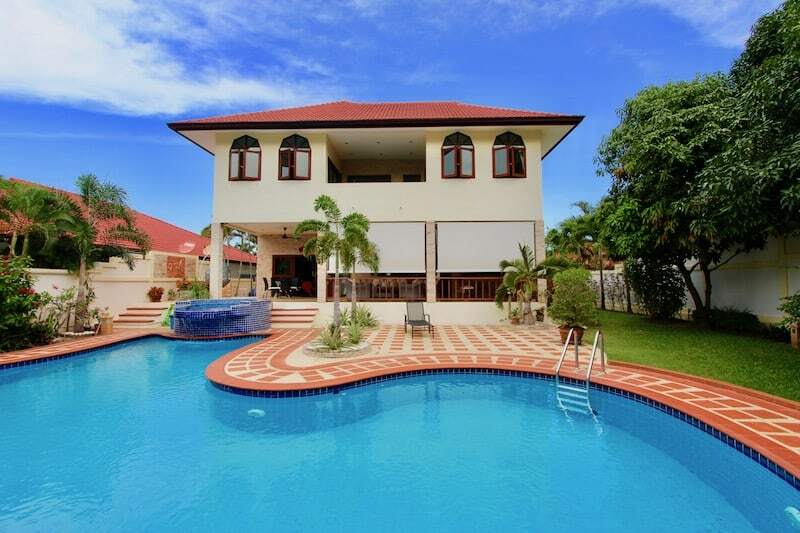 This is a lovely, spacious home in West Hua Hin for sale with a private pool, large gardens and separate guest house. 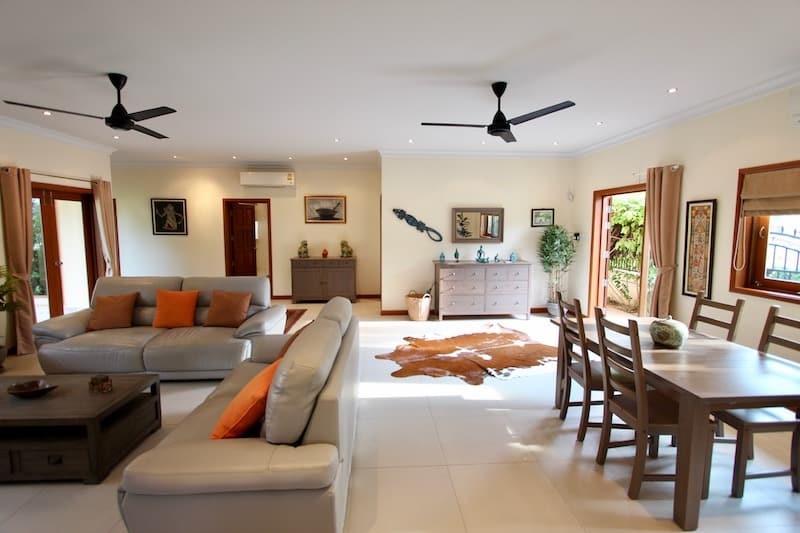 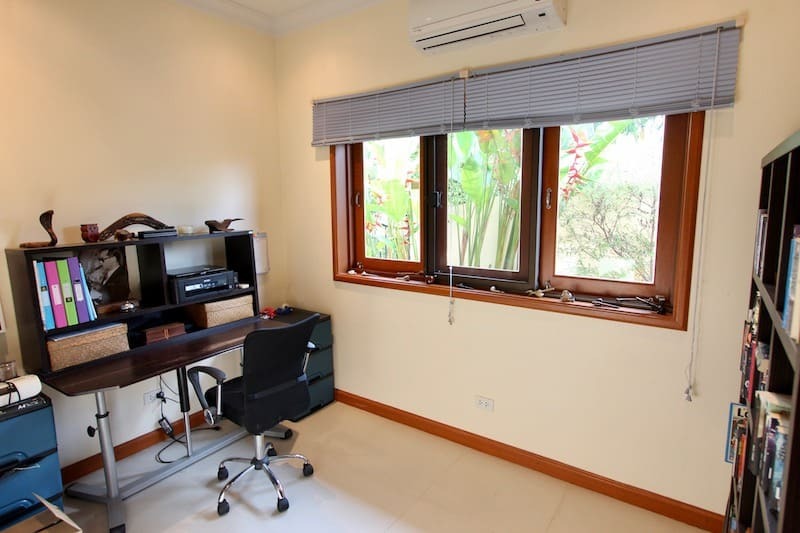 The property consists of the main house with an open living room and dining area; a gourmet kitchen with island and breakfast bar; 3 bedrooms in the main house, all with en suite bathrooms; an office; a guest toilet. 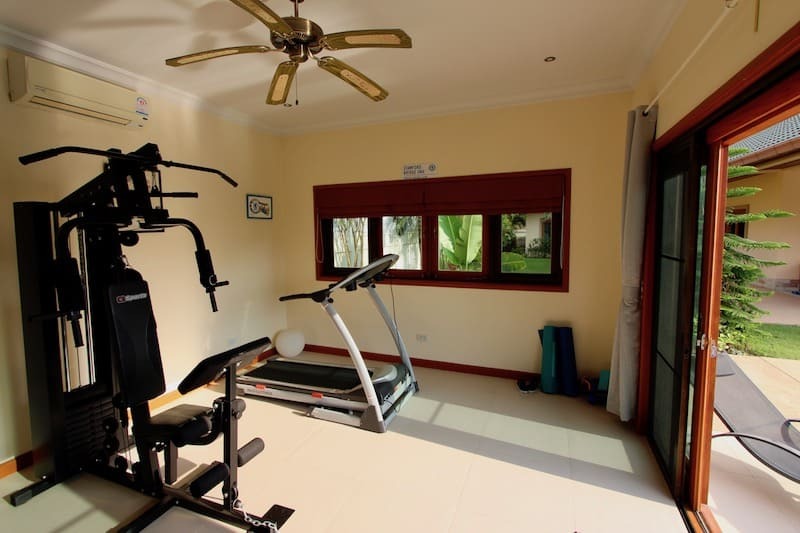 The guest house with full bathroom is currently used as a fitness room, but could easily be another bedroom. 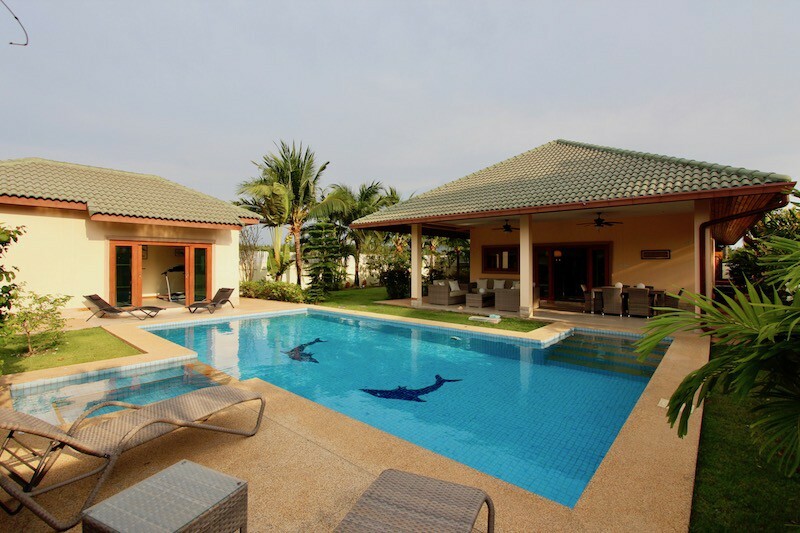 The swimming pool is 10m x 5m with saltwater system. 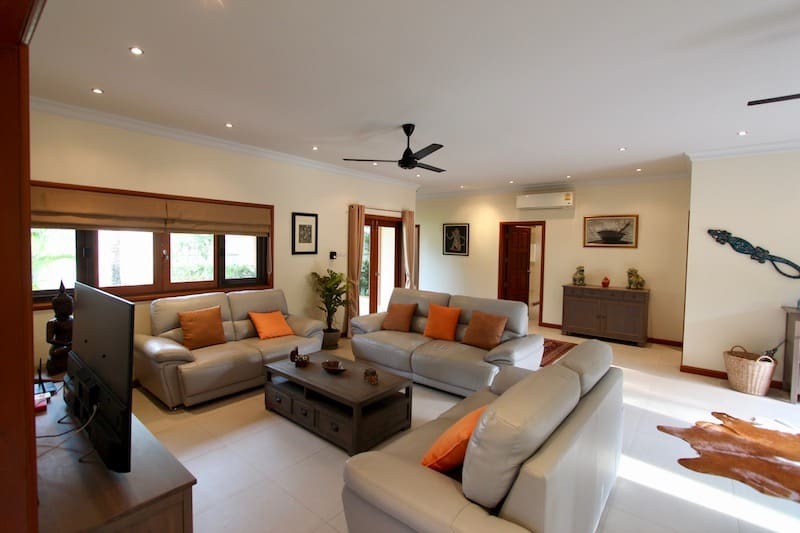 The living room is beautifully furnished and has wood sliding doors to allow a lot of light in and to bring the garden views indoors. 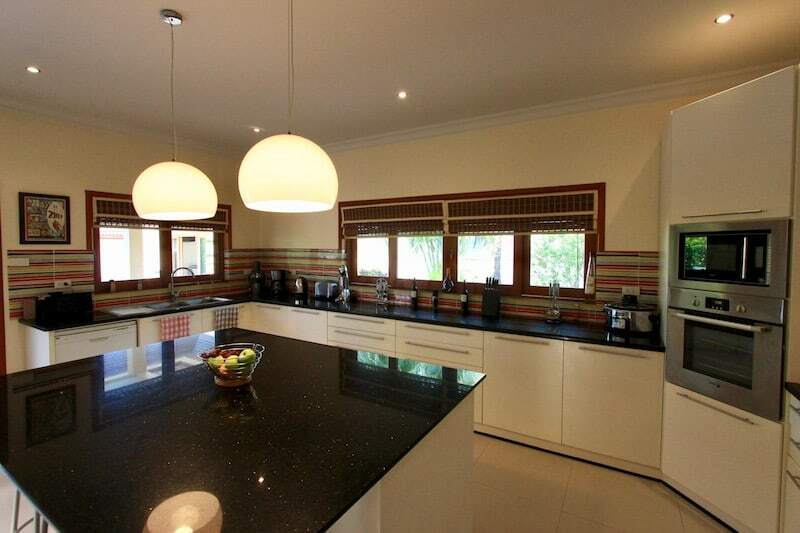 The kitchen has high quality appliances, granite countertops for a lot of prep space, ample cabinets for storage, and a large island that also serves as a breakfast bar. 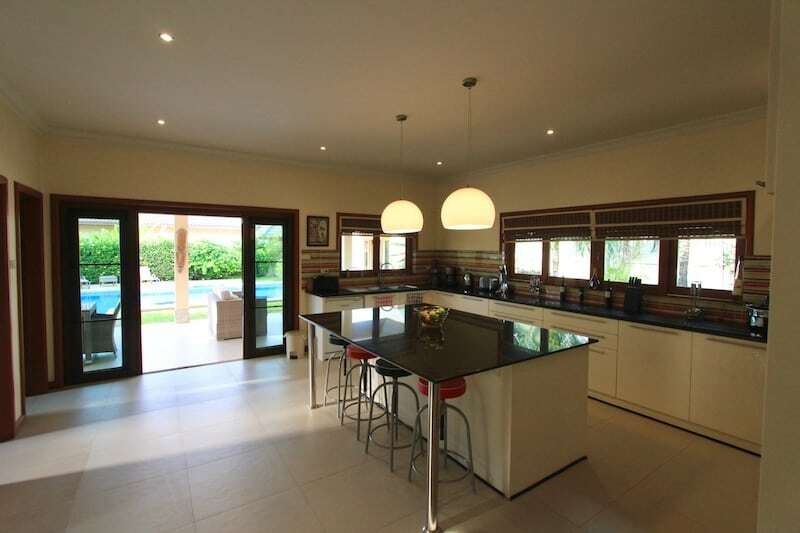 The kitchen leads directly to the outdoor covered terrace and the swimming pool and garden area. 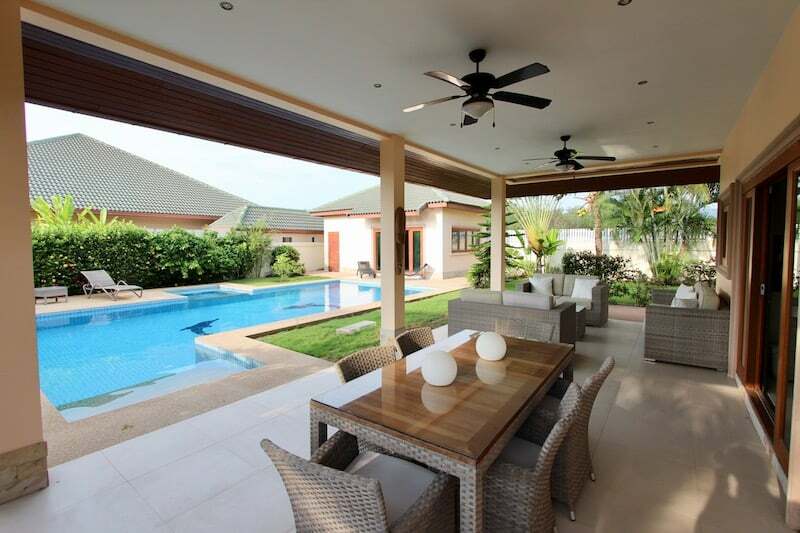 The covered terrace is wide and long to provide enough room for both outdoor dining and living. 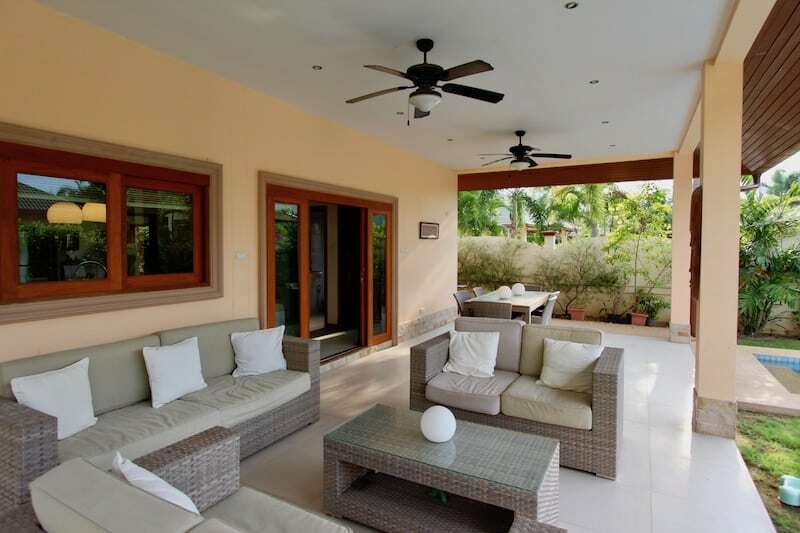 The lush gardens beyond provide a lot of privacy and serene beauty. 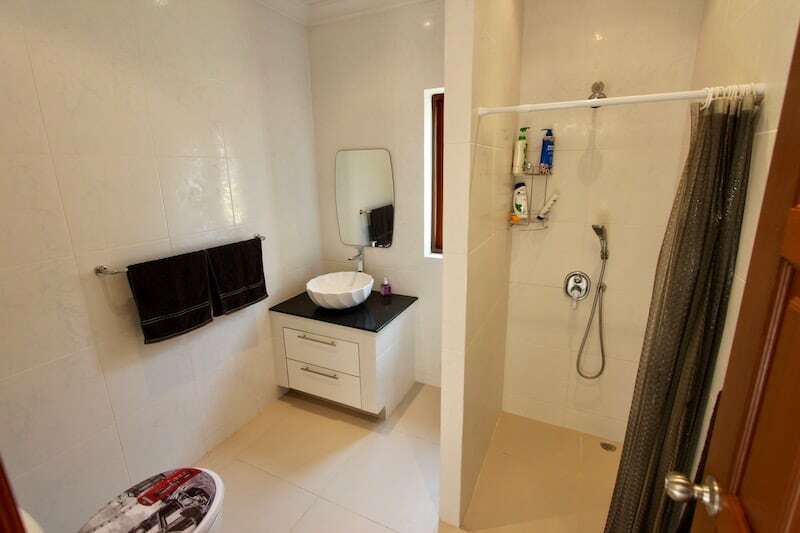 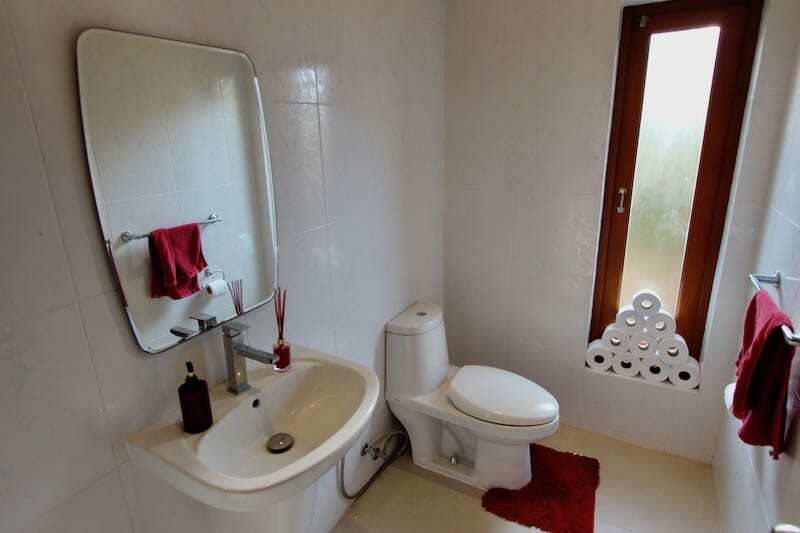 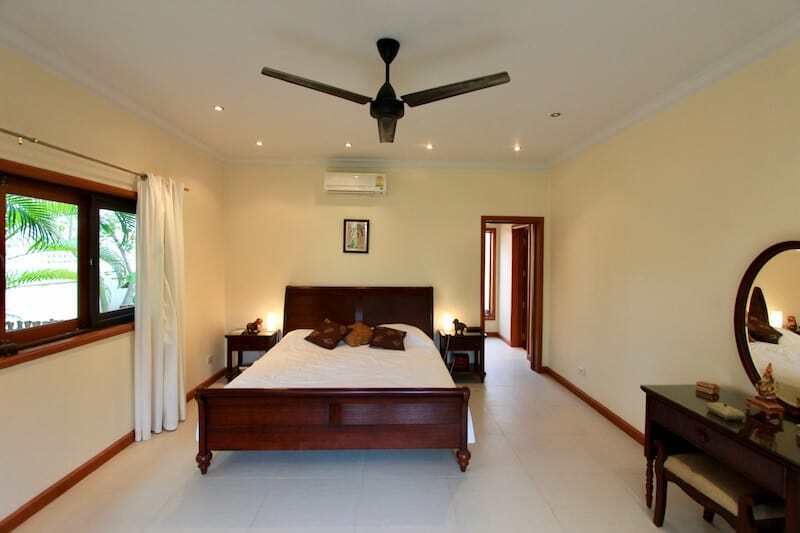 There are 3 bedrooms in the main house, all with en-suite bathrooms. 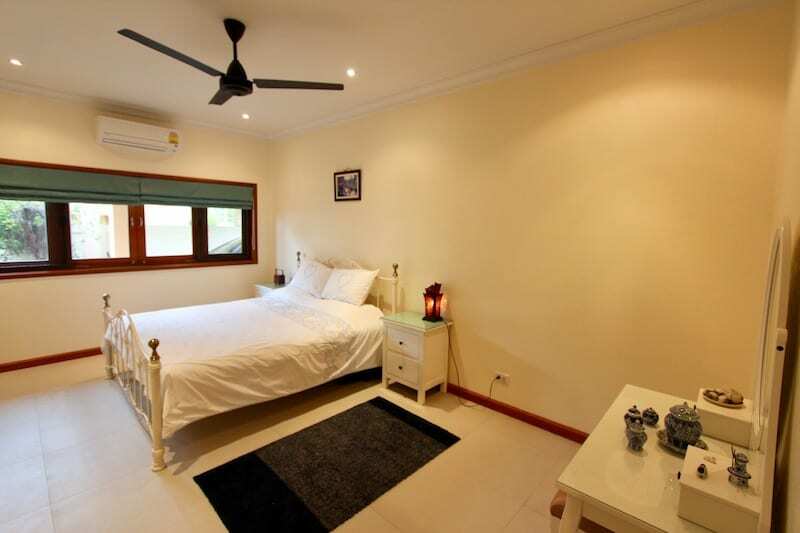 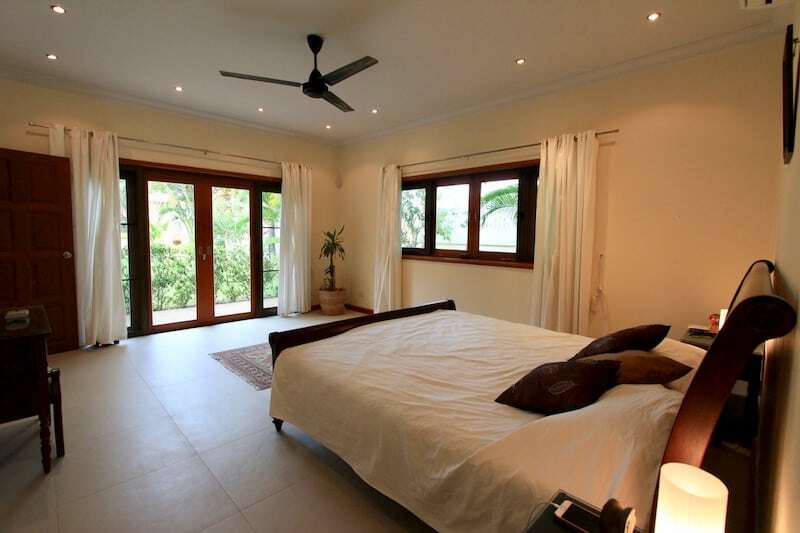 The master bedroom is quite large with wood sliding doors that access the gardens. 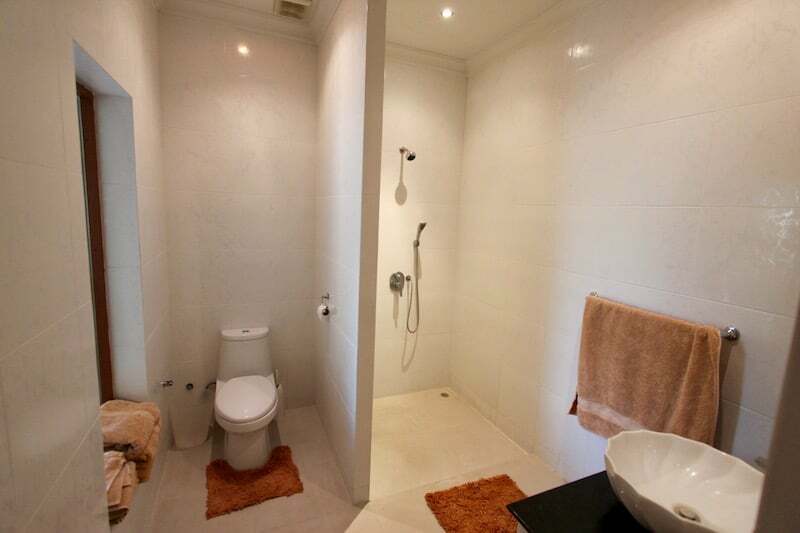 The master suite includes a walk-in closet and a spacious bathroom with double sinks and walk-in shower. 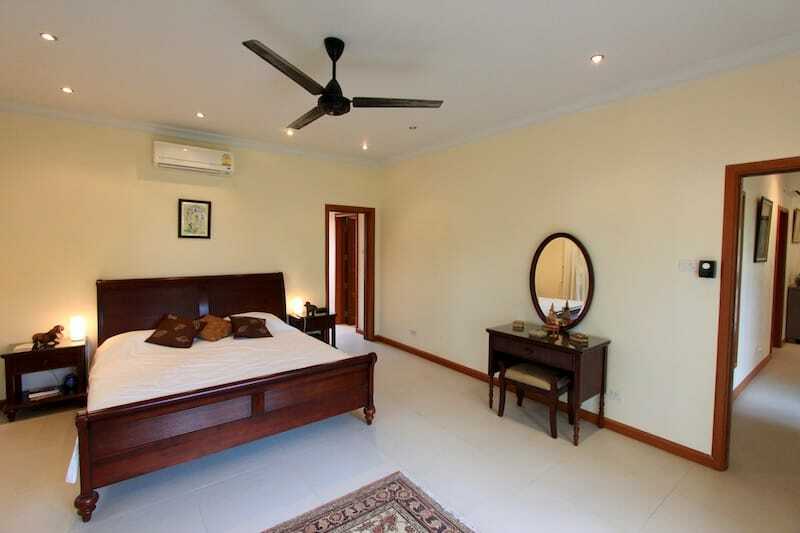 The 2 guest bedrooms each have built-in closets and bathrooms and are finished to a high standard and nicely furnished. 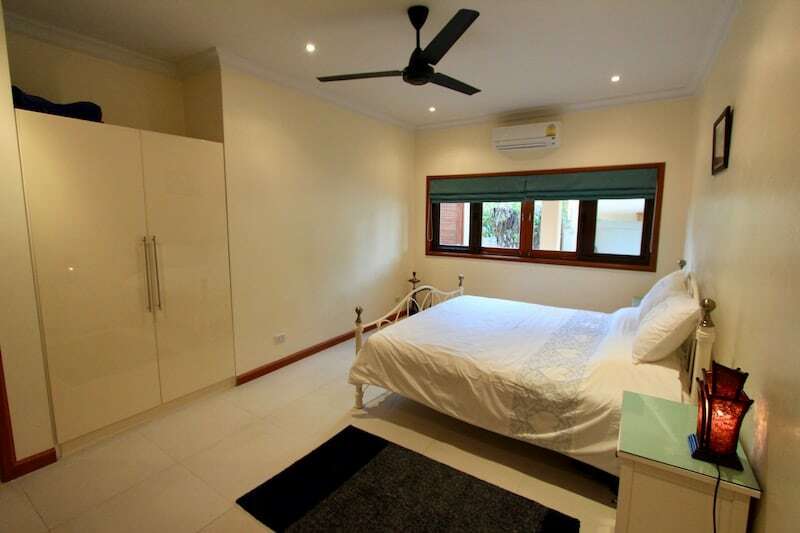 This is a great property for a large family or a couple who loves to host guests or even a couple who just loves a lot of space and privacy.